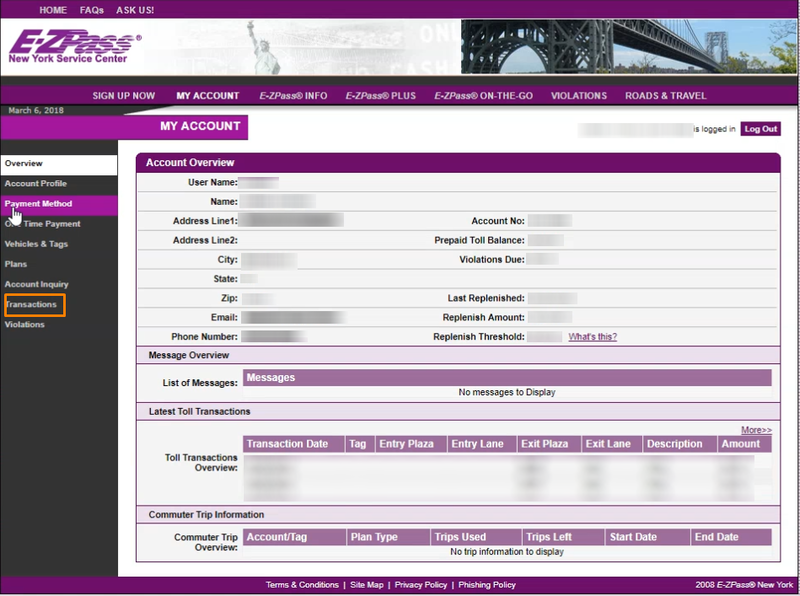 This article is a step by step breakdown on how to enable toll tracking and get your transaction information from EZPass into the system. 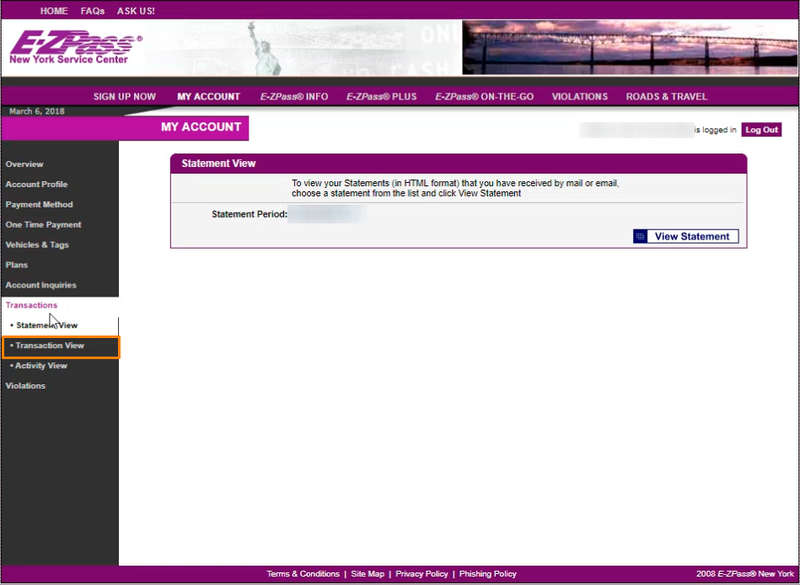 Go to https://www.e-zpassny.com/ and log in with your EZPass credentials. 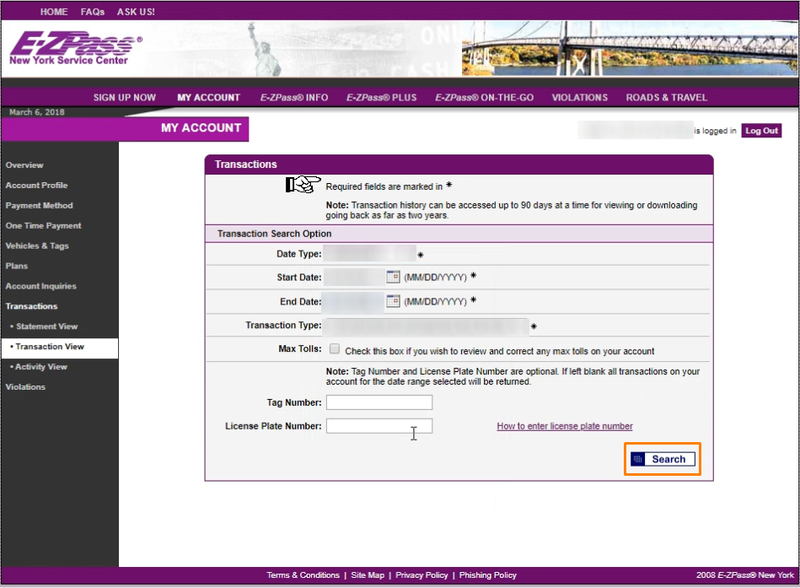 Click on “Transactions” category located on the left side menu highlighted in orange in the picture below. Next, click on “Transaction View” when the additional menu appears under the Transaction category highlighted in orange in the picture below. Click on the dropdown list of the “Date Type” and select “Posted Date”. Once you have done so, select the start and end date that you would like and click on the blue “Search” button highlighted in orange in the picture below. At the bottom of the page, select CSV from the dropdown list and click the blue “Download” button. This will download an excel file to your computer that you would need in a later step. You would then need to enable the toll tracking module by heading to Settings > Car Rental > Advanced Tab > Tolls in the HQ system highlighted in orange in the picture below. Next, Click on “Yes” under Enable Toll Tracking and select EZPass under Toll Companies as shown in the picture below highlighted in orange. After that, click on the blue “Save” button at the bottom of the page. Navigate to the External Charges in the Car Rental category highlighted in dark blue in the picture below. 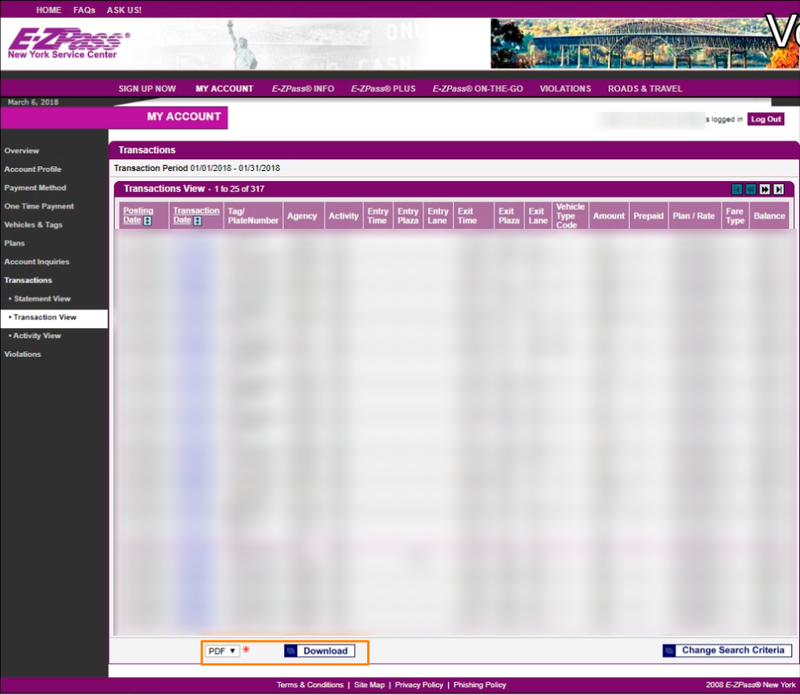 On the top right of the page, click on the blue “Tolls” button and select EZPass, highlighted in orange in the picture below. 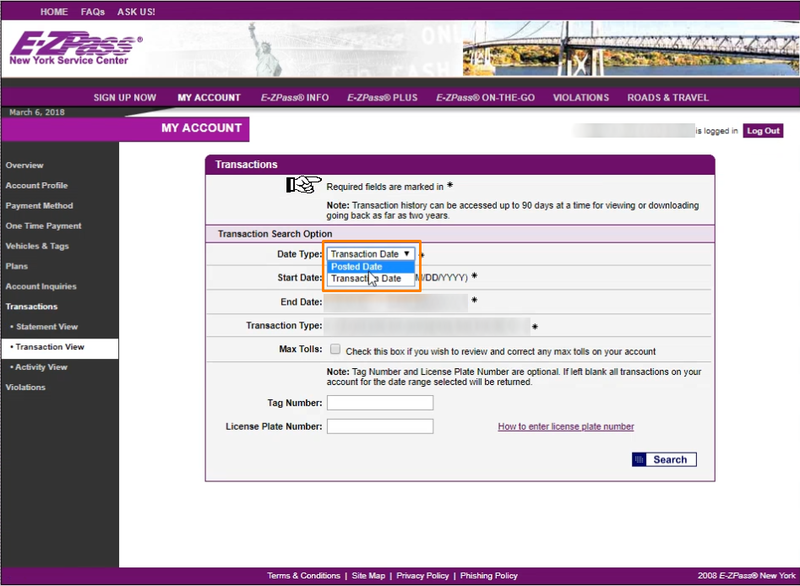 Once you have clicked on EZPass, a file selection window will appear. Select the CSV excel file that we obtained in Step 6 and click on Open. If you have successfully done all the steps above, you should be able to see all the transactions in the table as shown below.